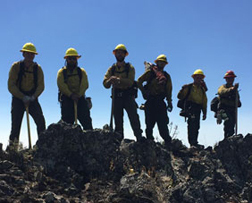 The Quadrennial Fire Review (QFR) is a strategic risk assessment process that has been conducted every four years since its inception in 2005. It is a joint effort of the U. S. Forest Service and the four federal land management bureaus of the Department of the Interior (DOI), as well as the National Association of State Foresters (NASF) and other local, tribal, and nongovernmental partners. Project future scenarios to highlight areas of consideration for realignment of programs, strategies, capabilities, and the workforce that will assist in addressing the identified challenges and threats.